A blizzard has come along on Tuesday afternoon four out of the past seven weeks, just in time to shut school down on Wednesday. 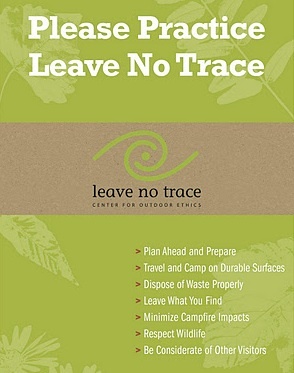 We should be preparing for our midterm exam…instead we are only at Chapter Five, which includes the seven principles of Leave No Trace: plan ahead and prepare, travel and camp on durable surfaces, dispose of waste properly, minimize campfire impacts, leave what you find, respect wildlife, be considerate of other visitors. Paul, our instructor, sat in his chair at the front of the classroom and had a casual conversation about these seven principles. Clearly, he has had this conversation with students for many years. He asked us whether we should concentrate or disperse our impact under various situations. We discussed the names and pictures carved in trees. We imagined we had found a fascinating artifact and decided whether we should put it in our pocket or leave it for others to enjoy and, should we encounter another group of hikers how we should behave ourselves. Then, as if it were just another topic on his mind, he talked to us about disposing of waste properly….and, we’re not just talking about an empty potato chip bag. After the discussion, we went outside to build campfires on top of big, black trash bags. Paul filled cans with water and the challenge was to see which team could build their fire on top of the trash bag and boil water first. Ben and I set to work straight away. He grabbed the shovel and piled dirt on top of the trash bag while I formed it into the proper shape. Then he went in search of tender while I looked for the driest sticks in the yard. It took us exactly 5 minutes, twenty seconds to produce boiling water – a first place finish that got us nothing more than shouts from the rest of the group. School is fun. It is also a lot of work. The quizzes make me stupid nervous. I ask more questions than the rest of the kids. I don’t dress the same as they do. I actually have fun with the ridiculous games and laugh until I cry when I’m the one that goofs up. I enjoy the lectures. My alarm rings at 5:30am so that I can finish the assigned reading, study for the quiz, write an essay paper, have breakfast and feed the dogs, go for a run, shower and dress, pack a lunch, drive 45 minutes to school and start the day again at noon. I come home exhausted! 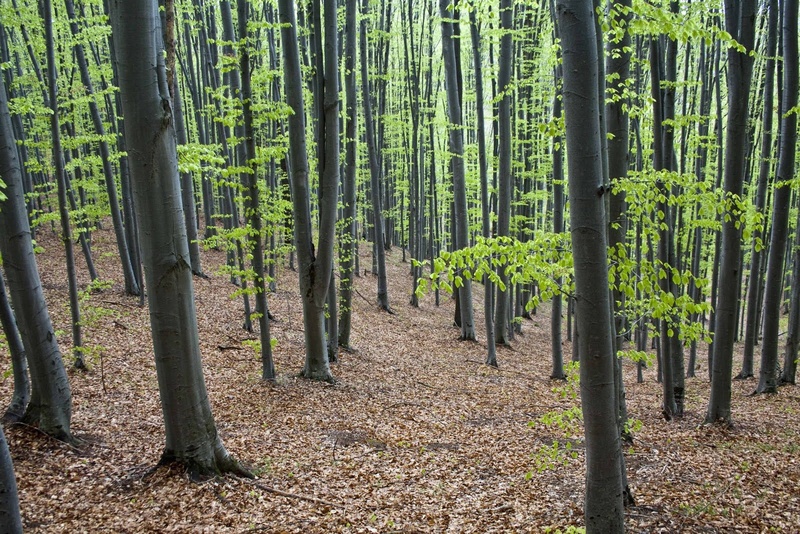 This week is our 2nd group hike. Paul told us we would each give a 10-minute presentation on one of the seven principles. The thought of a presentation on dispose of waste properly made my head spin and my heart beat fast. He suggested he could assign the topics to each of us, or…..maybe we would want to work it out amongst ourselves. Reluctantly, I waited on several others to volunteer first before I said I would be willing to take on the topic of being considerate to other visitors. And, yes, it was accepted. Mike agreed to the dispose of waste properly principle and, I am happily preparing to demonstrate how to be courteous to others on the trail.